Rhonna Farrer's new Follow Your Heart line with My Mind's Eye is really yummy! 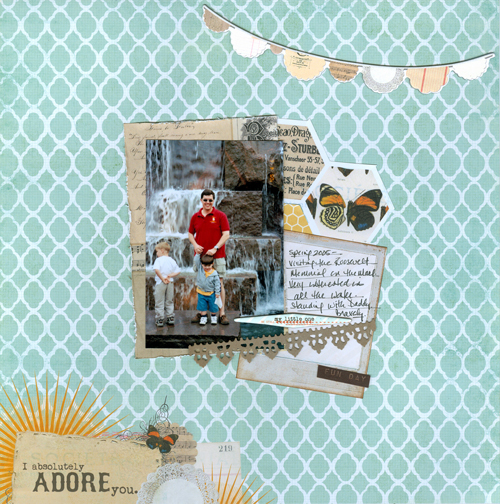 Like Lisa's layout from yesterday, you don't need a lot of embellishments to make a pretty layout. My biggest problem was choosing which of the lovely papers to use!